Eric Dougherty is a nature photographer and student, raised in Dobbs Ferry, New York, but currently residing in Berkeley, California. His love for nature photography developed at a young age, when he and his closest childhood friend would regularly wake up hours before sunrise to drive to local wildlife refuges and parks to catch the morning light. His first camera was the original Canon Digital Rebel, and he spent years using that with a basic 75-300mm zoom before upgrading to the Canon 400mm f/5.6 L fixed lens. 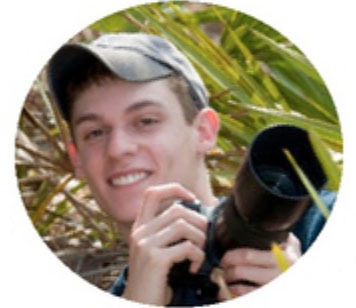 He currently shoots with a Canon 60D and the Canon 100-400mm f/4-5.6 L. During his senior year of high school, he was awarded the North American Nature Photographers Association (NANPA) High School Scholarship. His "Least Tern Chick" was also the winner of the Nature's Best for Kids Photo of the Year. Eric received his Bachelors Degree from Washington University in St. Louis in 2012, where his studies focused on Ecology. During this time, Eric conducted research in Australia and South Africa. After that, he spent a year working as a research technician at Sackler Institute for Comparative Genomics within the American Museum of Natural History in New York City. Most of his work was done as part of a collaborative effort with Panthera to catalogue the genetic structure of wild felid populations around the world. He is currently pursuing a PhD in the Environmental Science, Policy & Management (ESPM) Department at the University of California - Berkeley. His work revolves around developing methods to link camera trap data to wildlife density and abundance values in order to inform conservation and management efforts. In addition, he is interested in animal movement and decision-making.